BLUEPOOL is member of the BAODE Group. 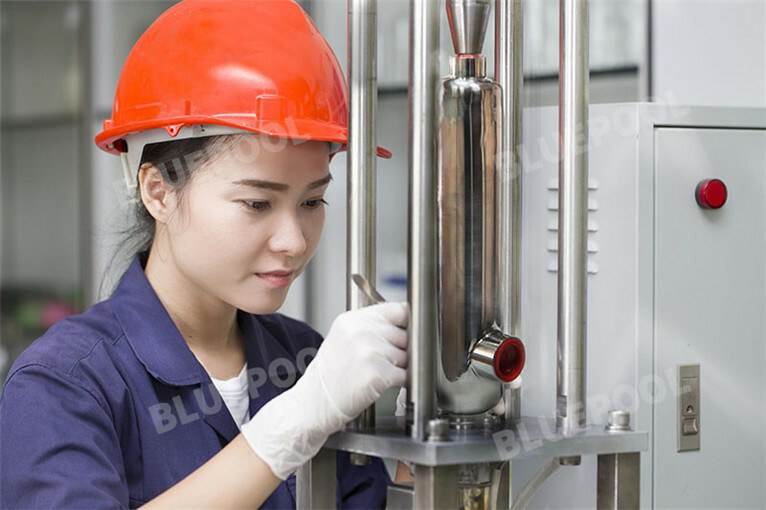 With over a decade of experience, BLUEPOOL is a renowned specialist in the design, engineering, and fabrication of stainless steel and Titanium heat exchangers. Our teams of engineers, designers and manufacturing specialists, ensure that BLUEPOOL remain at the forefront of advanced heat transfer solutions. With proven product designs, a "art craft quality" attitude, and automated production process,we are able to carry out the most complex and technologically advanced projects. Our facilities utilize the most leading edge processes, advanced automated and robotic systems and well sourced materials for the most stringent of applications. CFD analysis and simulation software improve our modelling capabilities and help analyze multiple design variations Our strict quality management system ensures that we continue to provide top quality products that clients have come to associate with BLUEPOOL brand. Applications: Swimming pool , spa heating Flooring heating Solar heating Oil cooler. 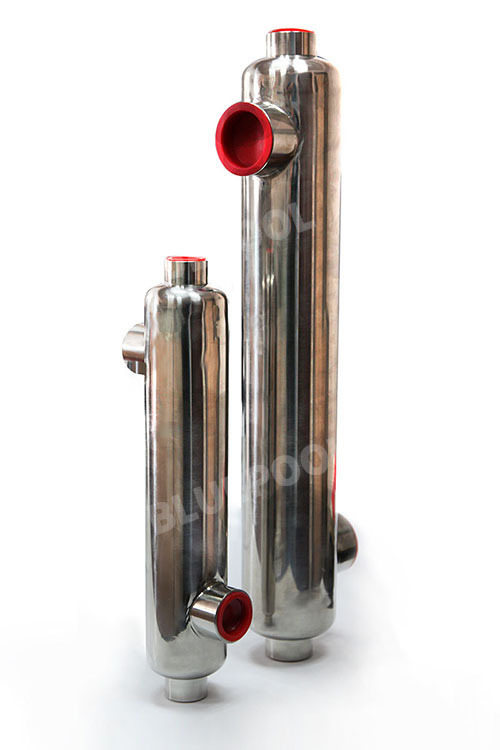 We has a various of shell and tube heat exchangers for solar pool heating systems or boiler pool heating systems. To promote longevity of all the system components, instead of placing chlorine or salt pool water directly though the solar panels, utilize an external swimming pool heating exchanger for a more versatile, robust solar design. Our swimming pool heat exchangers are designed by our special innovative tube designs, spiral twisted corrugation on the tubing surface, which were engineered to maximize the use of the solar or boiler energy, thus increasing the overall thermal efficiency of the system. With a wide range of sizes, and a selection of different materials to suit the specific requirements, these popular swimming pool models are the perfect solution for any pool, spa, and hot tub application. Swimming pool heat exchanger is fully constructed with pressurized shell and spiral corrugated inner tube. This ensures high velocities inside the unit making swimming pool heat exchanger a very reliable, efficient and cost effective way to transfer heat indirectly between any hot water circuit, steam circuit and any pool or spa circuit, besides other application. 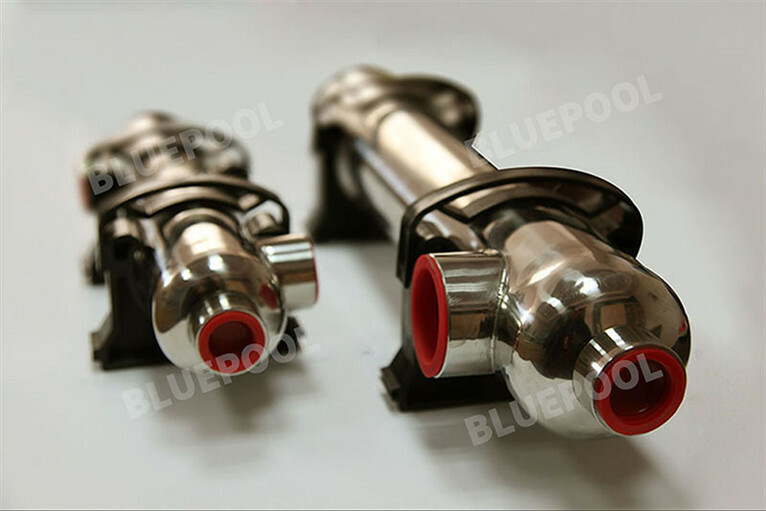 With high heat transferring efficient heat exchanger tubes and smooth shell, it ensure high velocities inside of the unit making the heat exchanger a very reliable, efficient and cost effective way to transfer heat indirectly between any boiler or solar heating circuit and any pool or spa circuit, besides other applications. l Compact configure, occupy small area, one tenth as the traditional equipments. l Helix screw thread elasticity heat exchange bundle, eliminate the stress. l Easy installation and durable. The method Of mounting used is totally responsibility of the installer. 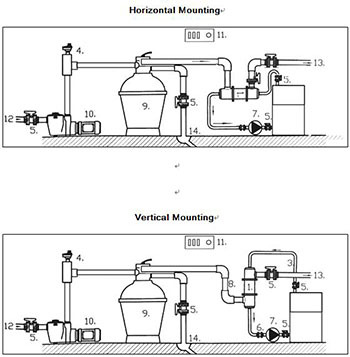 The units are designed for both horizontal and vertical mounting, it is recommended to always install the unit with a mounting bracket fixed to a wall, or ceiling or floor to prevent hammer heads or vibrations which could damage the unit, the use of expansion joints on the boiler circuit is recommended. Always install the pool & Spa heat exchanger in a counter flow pattern, as shown in the following figure. Pool & spa heat exchangers should be installed downstream of the filtration and pumping equipment. The boiler water must be assisted and the usual precautions taken to prevent air locks. The pool water pump should be controlled by the thermostat in the pool pipe work before the heat exchanger and set at the required temperature. It is important that these instructions are followed to prevent any corrosion or erosion of Stainless / Titanium pool & spa heat exchanger. B、Install unit before chlorination device. 3.The hot(heating) fluid, water or steam, should be gradually brought into the system. 4.Check all connections for leaking. D、Shut-Down: shut down hot fluid side first, then the cold fluid side. E、Always keep PH within correct levels. The ideal pool PH should be kept between 7-8. It is extremely important to avoid PH to fall below 7.2 or above 7.8. you must check on a daily basis. Modify your pool condition if necessary. F、You must ensure that the chlorine levels are in the range recommended by your pool chemicals supplier and they are aligned to your specific needed. G、If you have installed a by-pass fitted to the heat exchanger circuit, it is important that any valve is corrected positioned to allow the recommended pool water flow to pass though the heat exchanger unit. 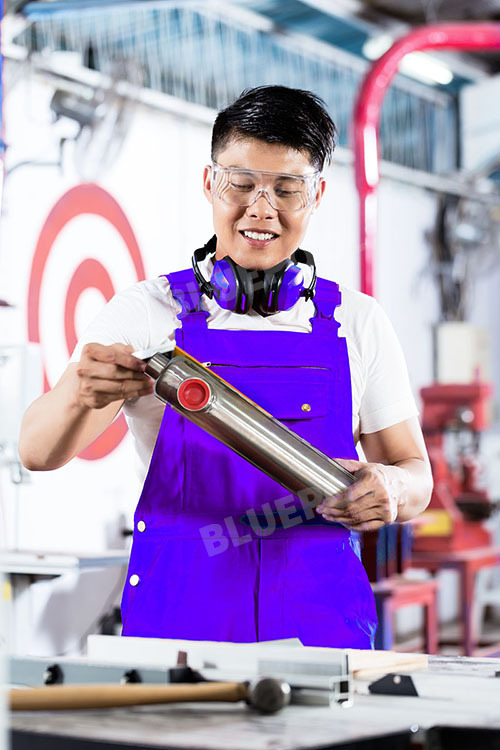 H、The filter should be checked regularly, especially sand filters, this type of filtration if working improperly will allow sand to pass around the pool circuit causing erosion of the heat exchanger and other components of the system as well. I、It is important that the correct chlorine dosage is added to the pool. To allow proper dispersion of this chemical into the pool, distribute evenly in the different area of it, do not does in one area only as this will create highly acidic areas which can cause irreversible damage to the heat exchanger. J、Keep pool free from leaves and other debris, all organic matter can decay an increase the pool PH causing damage the unit. K、It is important to winterize properly if the pool is exposed to winter conditions, we recommended fully draining down the heat exchanger or removing it completely from the installation though the duration of the shutdown period, otherwise icing the unit would damage the heat exchanger. L、Always choose harmless cheaning liquids if needed and clean carefully. N、Chlorinator should be in optimal working conditions. 2、Nominal values are based on 60℃ temperature between incoming heating and heated water. The following fluids are prohibited for use as a flushing agent for stainless steel pool & spa heat exchangers. 4、Any fluid that will deposit alkaline residue or phosphorous. 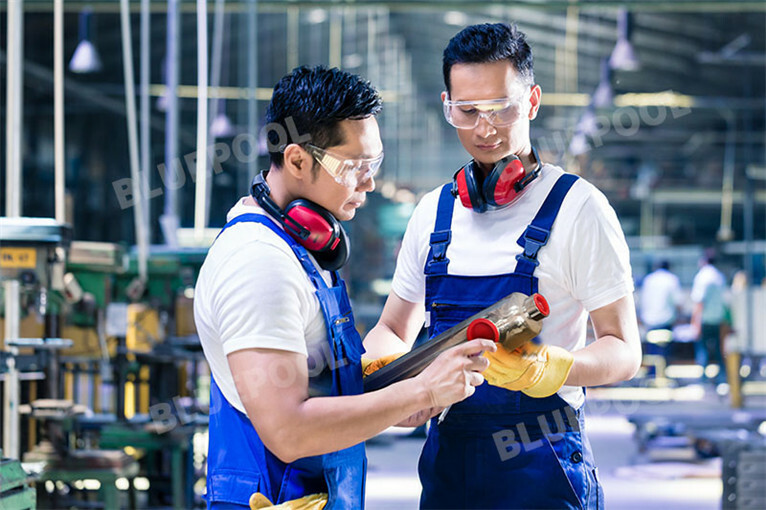 IT IS PURCHASER'S RESPONSIBILITY TO ENSURE THAT ALL FLUIDS IN CONTACT WITH THE PRODUCTS ARE COMPATIBLE WITH THE CONSTRUCTION MATERIAL OF THE PRODUCT. THIS INCLUDES OPERATIONAL FLUIDS ANDLEANING FLUIDS. CORROSIVE ENVIRONMENTS ARE OFTEN A COMBINATION OF CHEMICAL LEVELS, FLOW RATES, AND TEMPERATURES. FAILURE TO ENSURE THIS WILL RESULT IN DAMAGES TO THE PRODUCT. IF ANY OF ABOVE CONDITIONS IS NOT FULLY COMPLIED THE WARRANTY OF THIS UNIT IS VOID.